Formerly the Ozark Mountain Yoga Festival, the Retreat at Echo Bluff is an immersion into the best Yoga and retreat services the Greater Ozarks Region has to offer. Workshops and classes by diverse, experienced teachers are held in conference areas within the new Echo Bluff Lodge in Echo Bluff State Park near Eminence, Missouri. Morning and afternoon workshops from six different teachers are available on Friday with 17 "Weekend Pass" classes being held by nine instructors on Saturday and Sunday with special Presentations all included. Echo Bluff State Park, nestled in Mark Twain National Forest has a lodge with conference areas, deluxe rooms, cabins and a 62 site campground. It also features a full-service restaurant and snack/gift shop. The grounds include a mountaintop covered pavilion, amphitheater, trail system and a large spring that creates "Sinking Creek" which flows into the Current River. Numerous other public and private campgrounds and lodging options are very nearby. Book your camping through the Missouri Park Service for Echo Bluff State Park. Rooms and cabins at Echo Bluff Lodge are available for booking but are blocked. Refer to "Ozark Mountain Yoga Festival" when booking your reservations. Echo Bluff lodge has a full service restaurant, vendors are scheduled to be on site and as with any park, you are welcome to bring your own food items. Workshop Registration is good for the one four-hour Friday Workshop that you choose. General Tickets are good for all presentations in the lodge's 3 main conference rooms and all other event presentations, demonstrations and other activities. Friday Yoga Workshops are a separate option from Sat/Sun Weekend Pass “*Classes” offered on Saturday and Sunday. You have your choice of three Yoga Workshops to choose from Friday morning and three Friday afternoon. Pick your morning and/or afternoon workshop(s), click the link and register today as space is limited! *Sat/Sun Weekend Pass registration includes all classes held in the 3 main conferences areas on Saturday and Sunday. Signing up for these individual classes beforehand is not required and you may attend any of the classes you choose with this option. See times and descriptions below. limited enrollment, sign up today! In this unique workshop Andrew will discuss the history and philosophy of yoga giving the perspective he has developed from years of research. We will learn about Surya Namaskara and it's ancient history, the origin of Vinyasa practice, and just what is old and what is new in the modern yoga world. Andrew will give life to these ancient esoteric teachings as he leads the group into Asana practice. We will begin with therapeutic movement, then progress into structured Ashtanga Vinyasa practice and then practice Mudra, Banda and Pranayama, closing with a meditation. 1. Yogasana is shared in a way that people of all ages and levels of physical fitness can participate in. 2. Yogasana is shared as a service to the community and given to all who are interested regardless of social status. 3. Yogasana is shared in a way that transcends cultural boundaries and customs. 4, Yogasana practice is explained and taught in a way that is open to all religions and spiritual traditions. While we all have the same bones, joints and muscles, the shape of these bones as well as the flexibility and strength of the muscles make us each unique. This is what I call “the snowflake principle of yoga”. In this workshop we will discuss the anatomy of key joints and muscles and then use this knowledge to explore some common yoga poses (downward facing dog, triangle pose, crow pose and others). Walk away with a deeper understanding of your own body and gain a fresh perspective on these poses. Yoga philosophy from the Yoga Sutras of Patanjali will inspire us to approach our poses from a different frame of reference using the cornerstones of honesty and non-violence as our guides. Lots of options and modifications will be given so that all experience levels can attend. Note: if you have a book on the Yoga Sutras, bring it with you to class. A yoga block, strap and blanket are highly recommended. The focus of the session centers on the nature of compensations in our movements, or the unconsious development of inefficient patterns of motion and support, and how these need our immediate attention if freedom of movement is indeed an authentic concern in our lives. The movement experiments we engage will demonstrate a corrective session for the hips, which itself prepares for deep work in the single leg stance, one of the fundamental cornerstones in any movement exploration. This session ends with a group sharing of experience and a call to grow the movement community in our area in a way that honors the non-dogmatic nature of movement itself. "My understanding of Yoga as an integrative system has led me to unique opportunities such as a full-time consultant for the Czech Republic’s Olympic Women’s Beach Volleyball team and also work with a world-class tennis pro for New Zealand. My facilitation with these athletes, as well as private clients, and yoga teachers-in-training focuses on discovering patterns of habitual behavior, be it in mind, emotions, and the body that interfere with the flow state, the generative ground of creativity, vitality, and intelligent responses." NIH research has shown that lifestyle choices such as yoga, meditation, sleep, nutrition, strong relationships, a spiritual connection and the avoidance of environmental toxins, alcohol abuse, and smoking can improve overall quality of life and the prevention of numerous diseases. It has also shown to improve clinical treatment outcomes when dis-ease is present. In this workshop you will learn how implementing 6 researched lifestyle choices can benefit you and your students in the prevention and treatment of dis-ease. This class will offer 4 CEU's and a certificate will be given to all who attend. Sat/Sun Weekend Pass registration includes all classes held in the 4 main conferences areas on Saturday and Sunday, special Friday evening presentation and all activities. Your Sat/Sun Weekend pass registration includes all classes and signing up for these classes individually beforehand is not required. You may attend any of the classes you choose with this option, but arrive early as space is limited! *Sat/Sun Weekend Pass does NOT include individual workshops held on Friday. NIH research has shown that lifestyle choices such as yoga, meditation, sleep, nutrition, strong relationships, a spiritual connection and the avoidance of environmental toxins, alcohol abuse, and smoking can improve overall quality of life and the prevention of numerous diseases. It has also shown to improve clinical treatment outcomes when dis-ease is present. Learn at this workshop! This class centers on the nature of compensations in our movements, or the unconscious development of inefficient patterns of motion and support, and how these need our immediate attention if freedom of movement is indeed an authentic concern in our lives. The movement experiments we engage will demonstrate a corrective session for the hips, which itself prepares for deep work in the single leg stance, one of the fundamental cornerstones in any movement exploration. This session ends with a group sharing of experience and a call to grow the movement community in our area in a way that honors the non-dogmatic nature of movement itself. Plan for an experience steeped in all three aspects of Yoga, Functional Movement and Philosophy. Discover why and how consideration of these elements in cooperation matters and receive specific, practical tips to improve your mobility and quality of life. Appropriate for all experience levels. Slow down and digest after lunch with this class designed to reset your body, mind and spirit. We will begin with gentle movements and stretches to release stress and tension in major joints and muscles of the body. Class will end with a 30 minute yoga nidra session. Yoga nidra – known as yogic sleep – is a guided meditation done while lying on the floor that promotes deep rest and relaxation. If you have yet to experience the magic of yoga nidra, it is amazing! This combination of gentle yoga and yoga nidra is intended to induce total physical, mental and emotional relaxation. Appropriate for all experience levels. Note: a towel or pillow for under the head and a couple yoga blankets are highly recommended for this class. A workshop that will focus on the whole body, starting from engaging and stretching the feet and then working up through the legs, hips, side body, arms, shoulders, wrist, neck, and face. We will cover the small areas in the body that tend to be overlooked but could be having a huge impact on your practice and mobility. It will be a well-balanced class that will help you find balance in your body and practice. It is taught in a traditional Hatha Yoga Vinyasa Krama. You will learn to use every joint and muscle from head to toe. Energy is high as we move one breath per movement to focus on putting our intentions into actions. The moon is growing as are we- emotionally, physically and mentally. With mid-tempo beats and mindful breathing, you'll be able to get lost in your freedom of movement and gratitude for yourself. This practice is suitable for all levels of yogis! Amber will offer modifications to make sure to meet you where you are. This flow class will involve standing asanas and a few balancing asanas (postures). See you on your mat! Set to slow tempo chill beats, you will move through postures slowly and mindfully. We will focus on intention setting and pranayama (the breath, life force!). Moving slower through movement will make us stronger and more patient as the tension and stress melt away. We will work on alignment in basic poses. This practice is suitable for beginners however more experience yogis will be challenged as well. As sometimes, LESS IS MORE. The challenge will lie in finding stillness of the mind while moving through long deep breaths in a grateful vinyasa dance. Certified Acro Instructor Laurel Goodman will guide you through the foundations of Acro Yoga in this workshop. Together, we'll learn to base, fly, and spot by elevating yoga poses such as locust, plank, wide-legged forward fold, and goddess. If you are interested in making new friends and inviting playfulness into your practice, this workshop is for you! Yoga is an invaluable gift of India’s ancient tradition. It embodies unity of mind and body; thought and action; restraint and fulfillment; harmony between man and nature. In this workshop we will take a holistic approach to health and well-being. It is not about exercise but to discover the sense of oneness with yourself, the world and the nature. Explore our lifestyle and creating consciousness, improving well being and quality of life. ALL presentations are included with the "weekend pass"
In 2016 Andrew Eppler released the movie "Mysore Yoga Traditions", a beautiful documentation on the many facets and rich traditions of Yoga in Mysore and an inquiry into the cultural background of yoga in Mysore and the philosophy upon which this global practice rests. This movie will be screened as a retreat community event on Friday evening, June 7th with commentary by the creator. Open time in one of the large conference rooms Friday afternoon to ask questions and work with diverse teachers on a variety of yoga related issues. All teachers and attendees are welcome to gather and discuss current trends and topics of the day or work on things like pose modifications; maybe even that one Acro Yoga pose you and your friend are trying! Gather as one under the stars for sharing and laughter with other attendees and teachers. Just outside the lodge's back door the fire will be burning for everyone to enjoy. Andrew’s teaching is a synthesis of ideas and techniques he has learned through years of traveling and teaching in many countries. Some of the influences in Andrew’s approach to asanas include Myofascial stretch, Thai Massage and Chiropractic techniques. He sees yoga as a life-long exploration and has always collected safe and effective methods for creating balance, relieving pain, and moving deeper into the postures. Andrew is also a magician and uses magic and illusion in his workshops to illustrate some of the philosophical ideas of yoga. While staying grounded in the roots of Ashtanga Vinyasa Yoga and at the same time drawing from many sources of inspiration and technique from all around the world, Andrew’s teaching encourage students to create their own healing, joyful, evolving, sacred, lifelong yoga practices. I have practiced Yoga for more than 20 years and have taught full time since 2001. I worked as a professional chef prior to teaching. I am a certified level 1 & 2 practitioner of the FMS movement assessment process and have a B.A. in literature and Philosophy. As an owner of Barefoot Yoga Studio in Little Rock, Arkansas from 2000-2009, I conducted teacher training at the 200 hr. level. I also developed an extensive private client base for which I adapted asana, pranayama, and meditation techniques to individuals who sought Yoga as a therapeutic modality for issues ranging from structural/biomechanical pathologies to digestive problems, depression and anxiety disorders, and spiritual development. I also utilized my professional training as a chef, designing Ayurvedic meals for those whose needs were best supported with dietary change. Since founding Circle Yoga Shala, I have developed a 300 hr. advanced program that is being taught in two satellite schools in St. Louis and Ohio. I began my affair with Yoga in 1992 which led me to study with Shri Ananda Ma of the Dhyanyoga Center. In 2000, My husband, Matthew and I had the privilege of owning a studio in Little Rock for close to a decade developing into one of the premier yoga studios in the state. During that time, I had the opportunity to study and train in with a variety of teachers, Dr. Robert Svoboda, Doug Keller, Godfrey Devereux, Ana Forrest, Richard Miller, Erich Schiffman and Shiva Rea. In 2009, we created Circle Yoga Shala! Currently, I am in a 2-year study in the Center for Action and Contemplation’s Living School, a non-dual contemplative wisdom school. I lead a full and content life that is a result of fearless sensitive living and radical acceptance of what is. Pam believes that the breath holds the key to bringing together the physical, mental and spiritual benefits of yoga…ultimately leading to total transformation. She views her students as snowflakes…meaning no two students bodies are exactly alike and has a compassionate style which encourages students to alter the practice based on whatever they may be experiencing in the moment. Her goals are to make yoga enjoyable and accessible to everyone; as well as to inspire, challenge and empower students to take responsibility for their practice…on and off the yoga mat. Pam has been teaching yoga in St Louis for 20 years and has experience with students of all ages and abilities. She is a 500-hour Experienced Registered Yoga Teacher, and a Certified Yoga Therapist through the International Association of Yoga Therapists. She offers 200-hour Foundational Yoga Teacher Training and 300-hour Advanced Yoga Teacher Training in St Louis as the owner of Just Practice Yoga. Wes Pilcher is a teacher and co-owner of the Arkansas Yoga Collective in Little Rock, Arkansas. His teaching style comes from a unique combination of training in the Dynamic Yoga Method with Matthew and Holly Krepps and Duncan Wong. Wes also studied holistic healing through Clayton College of Natural Medicine and studied Ayurveda with Dr. Champa. Wes is co-owner of the Arkansas Yoga Collective, teaching there, at the Jim Dailey fitness center and Bigrock Yoga in Little Rock, Arkansas. Wes also produced and developed a video, "Satellite Flow", a Vinyasa or flowing series based on his unique style. He encourages students to challenge themselves while maintaining an atmosphere of lightheartedness that allows students to practice, experiment, laugh and grow. Dr. Kat Robinson is the owner and director at Active Kat Yoga and Energy Rejuvenation Center. Since it's opening in 2002 Active Kat Yoga and Energy Rejuvenation Center is one of the premier yoga studios in South East Missouri. Her core wellness beliefs are established in a mindset of bio-individuality. That what works for one may not work for the next. She also believes that the word "integrative" speaks it all, she does not prefer one modality of health care over the other. She believes that traditional allopathic medicine and alternative/complimentary medicine can work hand in hand to give you a full view of your health making you an active participant in your own wellbeing. 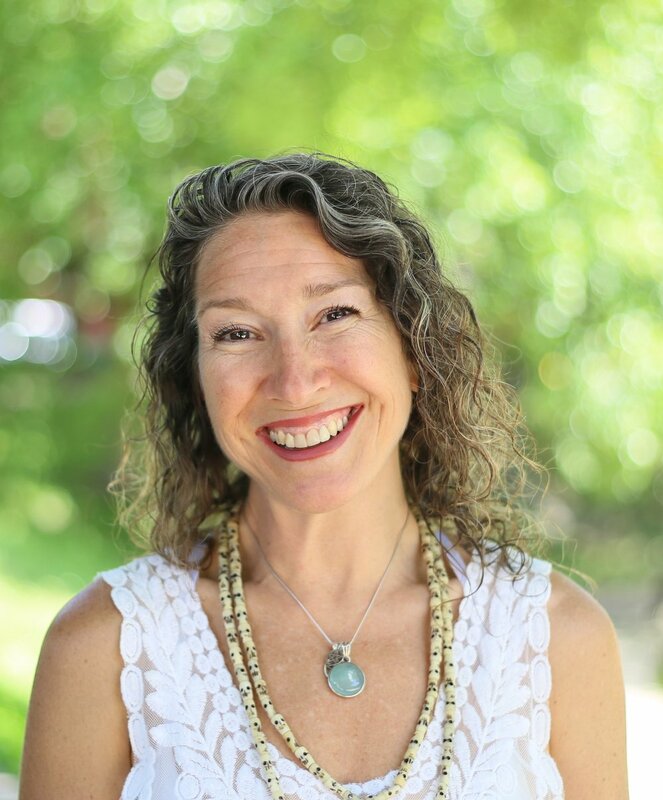 Dr. Robinson is a Traditional Naturopathic Practitioner, Certified Yoga Therapist, Experienced Registered Yoga Teacher, and an Integrative Nutrition Health Coach. She has specialized training in Integrative Oncology Yoga at MD Anderson Cancer Center and is a graduate of the Institute of Integrative Nutrition. She is also the lead instructor and director of the Active Kat Yoga Registered Yoga School and is a member school of the International Association of Yoga Therapists. In 2012, Laurel discovered Acro Yoga on a five month bicycle tour in S.E. Asia. Organically, she began teaching Acro Yoga and growing the Columbia, MO Acro community. Laurel comes from a background in breakdancing and brings improvisation and creativity into her teaching. In Laurel’s classes, she creates a fun, challenging, and community-oriented environment where students can safely grow their Acro Yoga skills alongside trust and communication in their partnerships. In 2015, Laurel received her 200-hour Yoga Teacher Training at Yoga Six in St. Louis. Last summer she traveled to Hawaii to train for her Acro Yoga Instructor Certification. She can be found in offering Acro and yoga classes, corporate yoga classes, private sessions, workshops, and performance in Columbia, the Midwest, and beyond. Owner of Moon Yoga Studio in downtown Columbia, Mo. "I had been practicing yoga on and off for about 10 years and left Missouri in February 2014 to study yoga at Southwest Institute of Healing Arts in Tempe, Arizona. It was there I knew. I knew that I was in the right field. It felt natural. After graduation I made my way back to Columbia and started teaching at Yoga Sol. Then ventured back to Phoenix, Arizona, where I joined the Sutra Studios family as a vinyasa instructor . It was there I really fell in love. I fell in love with yoga and the self love and growth the comes along with it. My biggest yoga passion is bringing it to every BODY. No matter your background, size or age. Helping people find freedom, love and peace through breath and movement. Now, coming full circle, back to Columbia, Missouri." Wesley Pilcher - A workshop that will focus on the whole body, starting from engaging and stretching the feet and then working up through the legs, hips, side body, arms, shoulders, wrist, neck, and face. We will cover the small areas in the body that tend to be overlooked but could be having a huge impact on your practice and mobility. It will be a well-balanced class that will help you find balance in your body and practice. It is taught in a traditional Hatha Yoga Vinyasa Krama. You will learn to use every joint and muscle from head to toe. Matthew Krepps - The focus of the session centers on the spiralic nature of authentic motion, and the fact that making movement connections in our exploration is best facilitated by freely embodying spin. The movement experiments we engage will focus on transitions between the prone position and back - bend via rolling. This session ends with a group sharing of experience, and a brief discussion about the relationship between practice and play. Holly Krepps - In this workshop plan for an experience steeped in all three aspects of Yoga, Functional Movement and Philosophy. Discover why and how consideration of these elements in cooperation matters and receive specific, practical tips to improve your mobility and quality of life. Appropriate for all experience levels. Andrew Eppler - The workshop will begin with the fundamental elements of Ashtanga Yoga including breath and bandha. Surya Namaskar, Standing Postures, and Vinyasa technique will be discussed in detail. We will talk about the history of this style of yoga and how it has evolved into Western culture. Andrew sometimes uses magic and illusion to illustrate points about yoga philosophy and the nature of human perception. In his view Yoga is an exploration and cultivation of one’s physical wellbeing, personal awareness, and internal environment which helps us all to replace inappropriate patterns with more appropriate ones. This class is for everyone who has an interest in Ashtanga Yoga regardless of their fitness level or how long they have been practicing. Amber Treece - Energy is high as we move one breath per movement to focus on putting our intentions into actions. The moon is growing as are we- emotionally, physically and mentally. With mid-tempo beats and mindful breathing, you'll be able to get lost in your freedom of movement and gratitude for yourself. This practice is suitable for all levels of yogis! Amber will offer modifications to make sure to meet you where you are. This flow class will involve standing asanas and a few balancing asanas (postures). See you on your mat! Dianna Lucas - Wellness Tune Up Yoga! Yoga is an invaluable gift of India’s ancient tradition. It embodies unity of mind and body; thought and action; restraint and fulfillment; harmony between man and nature. In this workshop we will take a holistic approach to health and well-being. It is not about exercise but to discover the sense of oneness with yourself, the world and the nature. Explore our lifestyle and creating consciousness, improving well being and quality of life. Kat Robinson - “Yoga for Health”. NIH research has shown that lifestyle choices such as yoga, meditation, sleep, nutrition, strong relationships, a spiritual connection and the avoidance of environmental toxins, alcohol abuse, and smoking can improve overall quality of life and the prevention of numerous diseases. It has also shown to improve clinical treatment outcomes when dis-ease is present. Learn at this workshop! Laurel Goodman - Students will start from the ground up and will learn the core principles of Acro Yoga including mounts and dismounts, transitions between poses, spotting techniques, and drills to develop strength and flexibility for Acro. No experience or partner necessary. Bring your most playful self to be challenged in a safe, supportive environment. Active Q&A - Open time in one of the large conference rooms Friday afternoon to ask questions and work with diverse teachers on a variety of yoga related issues. All teachers and attendees are welcome to gather and discuss current trends and topics of the day or work on things like pose modifications; maybe even that one Acro Yoga pose you and your friend are trying! Matthew Krepps - The focus of the session centers on the nature of compensations in our movements, or the unconsious development of inefficient patterns of motion and support, and how these need our immediate attention if freedom of movement is indeed an authentic concern in our lives. The movement experiments we engage will demonstrate a corrective session for the hips, which itself prepares for deep work in the single leg stance, one of the fundamental cornerstones in any movement exploration. This session ends with a group sharing of experience and a call to grow the movement community in our area in a way that honors the non-dogmatic nature of movement itself. Amber Treece - Set to slow tempo chill beats, you will move through postures slowly and mindfully. We will focus on intention setting and pranayama (the breath, life force!). Moving slower through movement will make us stronger and more patient as the tension and stress melt away. We will work on alignment in basic poses. This practice is suitable for beginners however more experience yogis will be challenged as well. As sometimes, LESS IS MORE. The challenge will lie in finding stillness of the mind while moving through long deep breaths in a grateful vinyasa dance. Laurel Goodman - Certified Acro Instructor Laurel Goodman will guide you through the foundations of Acro Yoga in this workshop. Together, we'll learn to base, fly, and spot by elevating yoga poses such as locust, plank, wide-legged forward fold, and goddess. If you are interested in making new friends and inviting playfulness into your practice, this workshop is for you! Our schedule is still being updated. Make sure to check back to see what's new! To book your lodging contact Echo Bluff Lodge directly. Rooms and cabins are still available for booking but are blocked. Refer to "Ozark Mountain Yoga Retreat" when booking your reservations. Book your camping through the Missouri Park Service for Echo Bluff State Park. Camping opens exactly 6 months prior and will fill up fast! Additional lodging and camping options in the area can be found by visiting the Eminence, Missouri Chamber of Commerce Web Site. Echo Bluff lodge has a full service restaurant for your dining convenience, vendors are scheduled to be on site and as with any park, you are welcome to bring your own food. Workshop tickets are for the respective 4 hour workshop ONLY and do not include classes Saturday and Sunday. Weekend passes do not include Friday workshops but are good for all classes and presentations in the lodge's 3 main conference rooms Saturday and Sunday, Friday evenings movie presentation and commentary, Saturday evening bonfire ceremony and all other event presentations, demonstrations and other activities throughout the weekend. Similar to our presenters, our contributors can also be found at the festival presenting and demoing different products and services they offer. They will be located in Gazebos at Echo Bluff. More information coming soon! Would you like to Present or Teach at the Ozark Mountain Yoga Festival? We are seeking presenters on topics ranging from healthy living to outdoor skills, as well as teachers of Yoga and meditation and would love to hear from you! Please contact us using this form and we will send you the official application! Partner and Sponsorship opportunities are available! A partnering or sponsorship with OMY is a unique opportunity to reach your audience of like minded people that share the same healthy values, love of Yoga, outdoors recreation and connection to nature. Use this form to get more information on how we can help support you or your company! For Vending, Lodging and Camping information and registration please contact Echo Bluff State park directly. Tickets are good for all presentations in the lodge's 3 main conference rooms and all other event presentations, demonstrations and other activities. Additional lodging and camping options in the area can be found by visiting the Eminence, Missouri Chamber of Commerce Web Site.